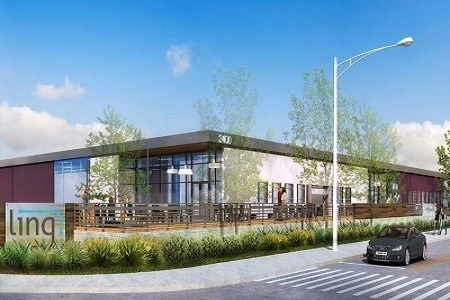 Located at 2400 Marine Avenue in Redondo Beach, California, LINQ totals 50,000 square feet in a multi-tenant creative office project. The recently repositioned property offers a single-story, bungalow-style design with private tenant entrances, glass roll-up doors, new lobby and bathrooms, and interiors featuring reclaimed wood and skylights. It also features Wi-Fi enabled indoor/outdoor workspaces, a tenant common area with a raised deck and outdoor funiture, and an 8-foot wrap-around boardwalk. The property is situated just south of El Segundo, adjacent to Manhatten Beach, Interstate 405 and Redondo Beach MetroLink.